SATUS gives utmost focus and importance on the eligibility criteria for all payment transactions of all of SMOL’s users. If you are under 18 years of age, we will require you to inform your parent/s or guardian/s about SATUS before beginning any transaction on SMOL. However, we reserve the right to accept orders only from those 18 years of age and over. Revisions to the SATUS may be done every now and then. Please be updated through SMOL so you know how order transactions are affected. If you are not amenable to the revisions, please do not proceed with your SMOL transaction. To fully appreciate the products and services in SMOL, we will be requiring you to register your personal information that is 100% true, accurate, and up-to-date. You must provide your complete name, contact number, email address, and other important and relevant details being requested. If at some point in time, some of the details in your registered information changes, please notify our SMOL support team by emailing us at: inquiry@solemini.com. Similarly, we will contact you if we will need to request additional registration information. Entities whose registration information are approved by SA. SA reserves the right to deny approval of suspicious transactions which can be in the form of false information on the payment details confirmed by the bank processing the transaction, multiple purchases made by a single user for a single postal address, and multiple logins to purchase a product. Once you reach the payment part of the transaction, it is clear that you are authorising us to perform credit checks about you to validate the authenticity of your payment details. SMOL reserves the right to consult with any third party for due diligence in validating your transaction details and payment process. SA may use the personal information you provided to conduct appropriate anti-fraud investigation. SA may also provide your personal information to a legal and legitimate credit reference or fraud prevention agency, which may keep a record of that information. SA also reserves the right to blacklist a user if proven to have committed a fraudulent transaction in the past. 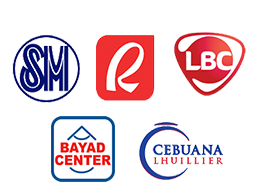 SMOL offers products for sale that are physically in stock and available for delivery from the main SA product-handling warehouse based in Metro Manila, Philippines. Occasionally, there will be products which are limited in terms of quantity therefore product availability can immediately reach zero within hours or within the day of product release. In cases wherein product delivery is affected by some natural occurrences we do not have control of (i.e. bad weather, road closures due to accidents, etc), product delivery may get affected. In the event of an unforeseen circumstance, we will notify you through the personal contact details you have provided within 48 hours from the time you finished your transaction process at SMOL. Please note that any item in your shopping cart is not reserved and may be purchased by other users who have accessed SMOL. Once you have chosen the products you want to purchase and once these have been submitted with payment, you will receive an email from us acknowledging your purchase and that your payment is in process. Upon payment process completion, you will receive another email confirming shipment of your order. SMOL reserves the right not to accept your order in the event, for example, that we are unable to obtain authorization for payment, that shipping restrictions apply to a particular item, that the item ordered is out of stock or does not satisfy our quality control standards and is withdrawn, or that you do not meet the eligibility criteria set out within the SATUS. SMOL reserves the right to refuse a transaction for any reason at SMOL’s full discretion. We will not be liable to you or any third party by reason of our withdrawing any merchandise from SMOL whether or not that merchandise has been sold or not. Prices shown on SMOL are in Philippine Peso [PHP] and are inclusive of VAT at the applicable rate. b. Orders are below Php 3,000.00 (within the Philippines). Import duty or tax costs will be invoiced to you directly by the courier e.g. JRS and DHL or an import broker appointed by you. We recommend you contact your local customs authority to determine a landed cost price prior to purchase completion. If you are using a credit card outside the Philippines, the final price of the item you will purchase will be calculated based on the applicable exchange rate on the day your credit card company processes the transaction. All orders are subject to availability and SMOL approval. An item may be cancelled up until payment has been processed. Once payment has been processed, you are responsible for payment based on the final amount that will appear in the product ordering section. 5. PAYMENT ORDER PROCESS COMPLETION DOES NOT GUARANTEE THE ITEM TO BE AVAILABLE DURING THE TIME YOUR PAYMENT HAS BEEN MADE AND APPROVED BY THE BANK. This is due to numerous similar interests/inquiries on said item. FIRST BANK APPROVED, FIRST SERVED POLICY. It will be your decision/discretion to continue with your payment given that the refund policy may apply. SMOL has listed down all these options and additional options may be included from time to time. SMOL will debit and clear payment from your account upon dispatch of your order. Upon reaching payment process, it is understood that the credit/debit card that you are using belongs to you or that you have been duly authorized by the owner of the credit/debit card to use the card for this transaction. All credit and debit card holders are subject to validation procedures and authorization by the bank/card-issuer. If the bank/issuer of your payment card refuses to authorize the transaction payment for the purchase made at SMOL, we will not be liable for any delay or non-delivery of products. If a payment is not received or payment method is declined, you forfeit the ownership of any items you purchased. If no payment is received, no items will be shipped. PayPal transactions within 12 hours. All credit card transactions on this site are processed using PAYDOLLAR, one of our payment gateway partners. To help ensure that your shopping experience is safe, simple and secure SMOL uses Secure Socket Layer (SSL) technology. SMOL will take all reasonable care to keep the details of your order and payment secure. SMOL cannot be held liable for any loss you may suffer if a third party procures unauthorized access to any data you provide when accessing or ordering from the Site. For SMOL transactions, 3DSecure is implemented by Visa (called as Verified by Visa) and Mastercard (called as Secure Code). 3DSecure is a scheme developed by the card industry to allow a card holder to authenticate himself during an e-commerce transaction. Authentication takes place before a transaction is presented for authorization. 3DSecure allows transactions to be conducted in safety online, greatly reducing the risk of fraud and chargebacks. If the card is not enrolled, this means that either the bank that issued the card is not yet supporting 3DSecure or it means that the cardholder has not yet been registered for the service. If the card is enrolled, the card holder will be redirected to the 3DSecure authentication web page for the issuing bank; the cardholder will then identify himself. If successful, transaction will be allowed to proceed for authorisation. The transaction could still fail for lack of funds or other reasons but is more likely to be approved because of the authentication. Cardholder should contact his/her card issuer if his/her credit card is enrolled with 3DSecure. SMOL reserves the right to request for proper identification documents from customer/cardholder before honouring a transaction for cardholder protection and fraud control. Failure to comply may result in cancellation and refund of order. Import duty or tax costs will be invoiced to you directly by the courier like JRS, LBC, DHL, FEDEX, AIR21 or an import broker appointed by you, We recommend you contact your local customs authority to determine a landed cost price prior to purchase completion. FOR INTERNATIONAL SHIPPING (Outside the Philippines) Our system is currently being upgraded and system default will only charge you shipping fee for one (1) pair only. For orders with multiple pairs, SMOL will assess and email actual shipping cost and a separate email link will be sent to charge the additional amount. For products shipped internationally, please note that any manufacturer warranty may not be valid. You are responsible for assuring that the product can be lawfully imported to the destination country. When ordering from SMOL, the recipient is the importer of record and must comply with all laws and regulations of the destination country. SMOL insures each purchase during the time it is in transit until it is delivered to your specified delivery address. We will require a signature or a proof of receipt for any merchandise delivered to you. If you have authorized a recipient for delivery purposes (i.e. You order a product as a gift), then we will take it that you accept that evidence of a signature by the authorised recipient of that delivery address is proof of delivery by SMOL. Our main shipping/logistics partners are JRS for Domestic Shipments and DHL for International Shipments. Please note that we aim to dispatch all accepted orders and have them shipped within 48-72 hours / 2-3 working days if Delivery Address is in the Philippines; and 48-125 hours / 2-5 working days depending upon Payment Verification by DRAGONPAY. It should also be noted that you will be notified via email a Waybill Number to track your orders. This notice will be sent once your order has been picked up by assigned courier for delivery. All orders of footwear are inside the regular “brand box” it is packaged with. SMOL cannot guarantee that the “brand box” will be in mint condition upon arrival to the delivery address. For this reason, we recommend the use of “Double Boxing” which entails additional cost to the customer. This option is available to you every time you choose a pair. Please take note that there will be NO shipping on Saturdays, Sundays, Holidays and Monsoon Rainy Days. Items purchased through SMOL are entitled to be refunded or returned based on complaint. If an item is damaged during shipping, you may send us a picture of the damaged item by emailing our SMOL support team at inquiry@solemini.com. Once the damaged item is validated to be accurate, a replacement item will be sent free of charge. There is no guarantee that the replacement item is similar to the returned item. If an item is unsatisfactory, a written explanation is needed before the item may be considered for a refund. Exchanges are granted on a case-to-case basis. We do not grant exchanges due to dislike of an item upon receipt of order as it is the customer's prerogative to purchase based on what is presented online. Similarly we do not exchange wrong size orders as this is the customer’s responsibility to assure that the item they are ordering fits them. All transactions that are approved by our payment gateway partners PAYDOLLAR / DRAGONPAY may still be VOIDED by SMOL due to stock unavailability and/or payment parameters set by SMOL has not been met. This in turn will trigger our system to email you that your order will be VOIDED. 1. Customer will contact his/her bank to formally dispute this matter. 2. Depending on customer’s bank, processing may take 2-4 weeks. If transaction was “ACCEPTED” but due to stock unavailability and/or payment parameters set by SMOL has not been met, SMOL will file a “REFUND” triggering payment portal to return amount to Paydollar, and refund shall follow this process: Depending on customer’s bank, processing may take 2-4 weeks. Dragonpay may issue a refund under the following circumstances: 1. A deposit was never validated successfully by the customer possibly because: the customer did not perform the validation step; the amount paid was incorrect; or the validation details provided were incorrect. 2. A deposit was successfully validated less than four (4) days ago, but SMOL gives instruction to perform a direct refund for whatever reason. You may contact Dragonpay directly regarding refund policy. If transaction was “ACCEPTED” and partial items in the customer’s order are unavailable, SMOL will file a “ PARTIAL REFUND” triggering payment portal to return amount to Paypal and refund shall follow this process: Depending on PayPal’s systems, processing may take 1-3 banking days. Via Bank Deposit. Customer will email complete details of their bank account where SAOL can directly deposit the full refund. Bank Name / Branch: Account Name: Account Number: Note: It is preferred that Bank account provided should have same account name as customer in order ID. Otherwise, please advise relationship to bank account holder. Sole Academy Credit Voucher. Customer will email if credit voucher is preferred and SAOL will email a credit voucher which can be used for future online purchases in SAOL. Customer will be duly notified once refund has been processed. If transaction was “ACCEPTED” and partial items in the customer’s order are unavailable after our payment portal accepted your payments, SAOL will file a “ PARTIAL REFUND” and refund shall follow this process: For Over-The-Counter payments, customer has the following options for partial refund – a. Via Bank Deposit - customer will email complete details of their bank account where SAOL can directly deposit the partial refund. Bank Name / Branch: Account Name: Account Number: Note: It is preferred that Bank account provided should have same account name as customer in order ID. Otherwise, please advise relationship to bank account holder. b. 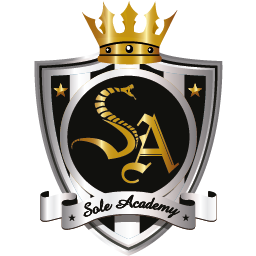 Sole Academy Credit Voucher – customer will email if credit voucher is preferred and SAOL will email a credit voucher which can be used for future online purchases in SAOL. Customer will be duly notified once refund has been processed. All REFUNDS arising from transactions wherein products are not allocated anymore due to stock unavailabilty will be coordinated accordingly by SAOL with the customers affected. Strictly one pair per customer per colorway. If our system detects a customer making multiple separate transactions to get more than the allowed, we have the prerogative to cancel all orders. We will just honour credit/debit card/Paypal payments for this release. Online banking/Over-The-Counter transactions will be temporarily suspended. Receiving an email that payment is in process does NOT guarantee item allocation. Please wait for an email with shipping confirmation. IT WILL BE YOUR SOLE DECISION/DISCRETION TO CONTINUE WITH YOUR PAYMENT GIVEN THAT THERE IS A POSSIBILITY THAT YOUR ORDER WILL BE VOIDED DUE TO HIGH DEMAND. SMOL is for your personal, non-commercial use only. You may not modify, copy, distribute, transmit, display, perform, reproduce, publish, license, commercially exploit, create derivative works from, transfer, or sell any Content, software, products, or services contained within SMOL. You may not use SMOL, or any of its Content, to further any commercial purpose, including any advertising or advertising revenue generation activity on your own site. SMOL sales can only be included in the 88K accumulated receipts for ACADEMY MEMBERSHIP only if the names in all receipts are identical. SMOL sales is NOT included in the Icon Loyalty Program. If you have any complaints about any of the items or policies in our site, you may email our SMOL support team at: inquiry@solemini.com. We do not guarantee an immediate resolution. But we will definitely review each case thoroughly and we will contact you as soon as we have a resolution. You agree that you will be personally responsible for your use of SMOL and for all of your communication and activity on and pursuant to SMOL. If there is enough evidence that you are or that you have been engaging in activities prohibited by SM, are not respectful of other SMOL users, or otherwise violated the SATUS, you may be temporarily or permanently denied access to SMOL. SMOL values your privacy and we know that you care about how information about your order is used and shared. SMOL would like to inform international customers and customers shipping products internationally to be aware that cross-border shipments are subject to opening and inspection by customs and/or postal authorities of the destination country. Also, we may provide certain order, shipment, and product information, such as titles, to our international carriers, and such information may be communicated by the carriers to customs and/or postal authorities in order to facilitate customs clearance and comply with local laws. The SATUS together with all the SMOL policies and procedures will be governed by and taken in accordance with the relevant Philippine law and the relevant courts of the Philippines will have exclusive jurisdiction. The SMOL terms and conditions are subject to change.